Lemon juice has diverse uses in aiding your well being. Lemon – discovered over two thousand years ago made its way around the globe and became an important item in many people’s everyday life. Starting from cooking, to eating it raw or drinking eats, or even using it as a preservative and medicinal purpose – one of the best process to consume lemon has been the lemon juice. Typically, lemon juice is a broad way in which you can consume and use it for many different purposes. Rich in vitamin C, the juice is a mixture of different acids similar to citric acid. Tangy in taste, it also has antibacterial and antiseptic properties that aid you. If you consume warm lemon water every day, it could make a big difference in the texture of your entire skin. It will also help purify your blood and encourage the growth of your new blood cells. Along with that, the rich vitamin C content in lemon as well as a few other antioxidants helps to keep your skin free from blemishes and wrinkles, helping you combat damage from free-radicals. The honey and warm water help add collagen-boosting, restorative and antibacterial properties in order to promote optimum skin health. You can drink the lemon juice mixed with warm water and honey. You can also apply it on your skin. Every night, before you go to bed, mix the three ingredients together and make a thick paste. Then apply this paste all over your face and two hands. Let the paste dry itself out. It may take about ten minutes. Do not fall asleep with the paste on your skin. When it dries, wash it well with warm water. Doing this every night for about two weeks will make your skin feel softer and healthier with no new blemishes and wrinkles. You can also make the laugh lines on your face slowly fade away with regular use of this paste. Lemon has acidic properties. They can be combined with medicinal properties of water and honey could help get rid of bad breath effectively. It cleans your mouth and increases the production of saliva which will kill bacteria that causes bad odor in your mouth. Lemon water can help you get rid of all the white film on the tongue as well. These films usually develop when you sleep. The white film is made up of bacteria and decaying food that result in bad breath. Every morning, after you brush your teeth, dip your toothbrush into some lemon juice. Gently, begin to brush your tongue with it. It may feel a little bit tingly and you may experience some vomiting sensation. Breathe through your mouth, not your nose, if that happens. Brush your tongue for about 30-40 seconds and then gargle with warm water. If you do this every day, your mouth should be devoid of bad breath within one or two weeks. The people suffering from high blood pressure may benefit hugely from drinking lemon juice. All you need to do is drink the juice squeezed from one whole lemon every morning. It will help your system by cleansing up the lymphatic system and keeping it hydrated as well. The high content of potassium found in lemon helps you sleep better at night. It will also reduce stress and improves the functioning of your mental system, which will help you keep the blood pressure well within the normal range as well. Every morning, you have to squeeze the juice from one whole lemon and drink all of it. To begin with, it is an excellent promoter of immunity and makes your immune system to grow stronger. The vitamin C that is present in the juice contributes to this. Vitamin C is essential for the skin and also helps the healing process to speed up when there is a cut or a bruise.Moreover, lemon juice is acidic in nature and so it also helps to main the balance of pH in your body. Moreover, lemon juice is acidic in nature and so it also helps to main the balance of pH in your body. Wasp sting is alkaline in nature and instant remedy to it is pouring lemon juice over the affected area. The acidic property of lemon juice balances the pH and gives you relief from the burn.In fact, lemon has pectin fiber which is an important agent for your large intestine to stay well. It also gives lemon the antibacterial property. Digestion is aided and lemon juice facilitates the pancreas to produce bile juice. In fact, lemon has pectin fiber which is an important agent for your large intestine to stay well. It also gives lemon the antibacterial property. Digestion is aided and lemon juice facilitates the pancreas to produce bile juice. A great component of your “pico de gaio” or salad relish, the juice intensifies the taste of the fresh vegetables and gives you the tangy taste that makes your food more delicious. It is known that many sufferers of aches in their joints and body aid from intake of lemon juice. A very popular remedy to get over a hangover is to drink concentrated lemon juice mixed with water. The intense headache and repulsive feeling and taste quickly disappears from your mouth. What it actually does inside the body is that eases the cells in your liver to filter out the alcohol more promptly; also tending to the nerves and veins in your head, it makes the flow of neurons smoother. A great component to lose weight, many dieticians suggest drinking lemon juice for obese people as its acidic property cuts through the excess fat, and helps your digestion to be better! Whatever you routine is, make sure you gulp a glass of lemon juice every day. Ayurveda suggests that lemon juice is beneficial to the body both internally and externally. Many Ayurveda recipes’ key ingredient is lemon juice. Whether it may be any form of medicine to ingest or lotion to apply to your skin, lemon juice is present every now and then. Drinking lemon juice aids in the wellbeing of your eyes. It also rids of bad breath and helps in plaque dissolve around your teeth. Applying to your face, likewise, drinking lemon juice reduces the chance of new pimples growing and tenderizes your skin maintaining youth for longer. Instant relief from heartburn can be achieved by drinking lemon juice directly without mixing it with anything. For winters, you can try drinking this everyday: mix lemon juice in lukewarm water with honey and mint. A glass of it everyday shall keep you away from any seasonal cold and cough. Lemonade is a favorite drink for everyone and drinking it during the summer tends to keep your body cool. The germ-killing property also rids of any pathogen that might be present in your sweat as during the summer you sweat a lot. Skin irritation can occur due to pathogens mixing with sweat and it also leaves a putrid smell on your body. Many people suffer from digestive complexities during the summer, and it, therefore, helps to digest food better by aiding in production of digestive enzymes and juices in your stomach. Lemon juice also aids your kidneys to remove more waste materials from the body, urine is a substance that is full of waste and pathogens and sometimes infection might occur in the tract. 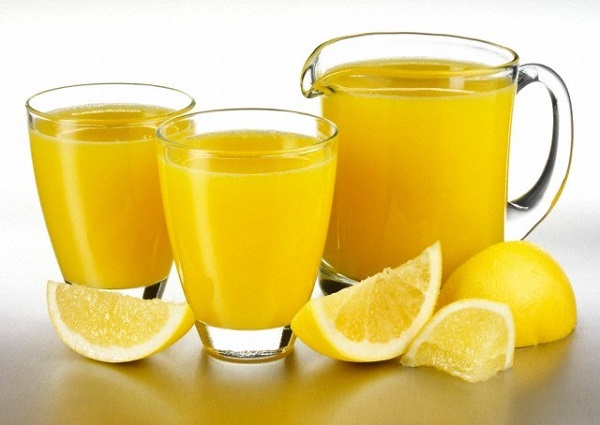 Lemon juice makes sure that such infections do not occur at all. Cleansing of the arteries is achieved by drinking lemon juice – this aids in your blood circulation giving you a better feeling throughout your body as each cell is now more energized.